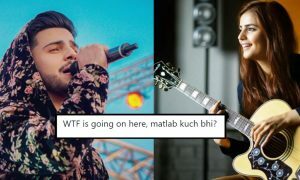 Here's Why This Girl Thinks Everyone Should Stop Bashing Ahad-Momina Duo For “Ko Ko Korina"
From the past 10 years, Coke Studio has set the standards really very high and raised the music to the next level of capacity. We all have loved it for many of its masterpieces like Banwre and Baazi by Shuja and Aima, Tera Wo Pyar by Momina and Asim, Bewajah by Nabeel Shaukat Ali, Tajdar e Haram by Atif Aslam and other great pieces of art by the legend Abida Parveen and many others which I cannot list here right now. We all literally used to wait for ‘Coke Studio’ every year to have a treat in the form of such magnificent music. We have been appraising our songs and the artists so much but when it comes to admiring or insulting the Pakistani talent, we are the ones in doing it! 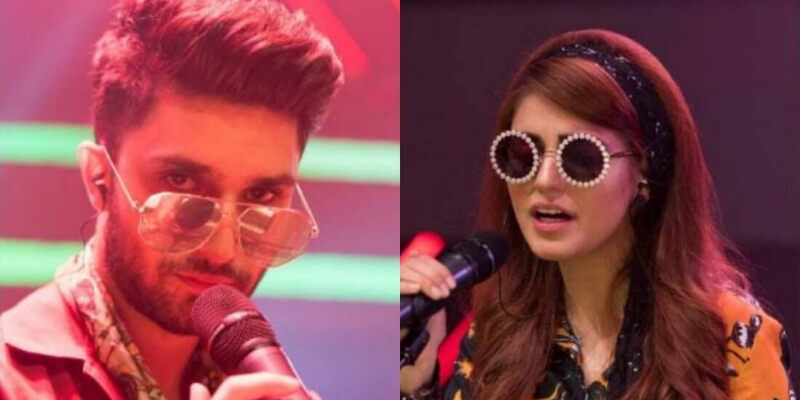 Almost 3 days back, Ahad Raza Mir and Momina Mustehsan paid tribute to the 1960’s masterpiece “Ko Ko Korina” in the 9th episode of Coke Studio 11. As we all know that the original Ko Ko Korina is not just a song, it’s a feeling for all of us. It not only got popular in 1966 when it was filmed on the fine-looking Waheed Murad, but its popularity never came down after that. This is the song we all have enjoyed in our cars, cassette players, Mp3 players, CD players and now our cell phones. We all have sung this song on Dholkee, Guitar and even during the long trips with troops; the signature clap of KoKoKorina always brings back the classic sentiments. 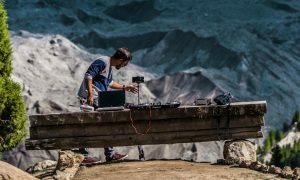 After the Coke Studio version aired on the television and got released on the internet, an unnecessary hype was created and the whole social media started criticizing it. It seemed like everyone was in the search of something to use their inner extremism and all they got was “KO KO KORINA”. Boom!! I listened to the song and yes I agree that the song is not as good and attractive as we were expected it to be but why we always push everything towards thrill? If we adore someone we do it with enthusiasm and when we think to put someone down we make sure that the bashing gets done SKILLFULLY. It seems like the memes makers and the page admins were waiting for something to shine their business to get the maximum number of comments and like because obviously Hamari Awam Tou Jazbaati Hai. Each and every one is jumping into it like it’s obligatory to play their part in this fierce criticism. Even our politicians and son of the great Waheed Murad are here too in this campaign against the Coke studio version of the song. 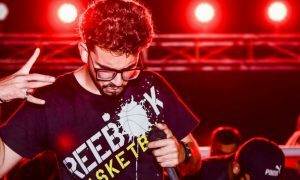 If we did not like the song, we could have rejected it with grace and respect by commenting “They could not make it big, better luck next time”. But NAHIIII… hum ney to social media pey raita phelana hai naa! Everybody ridiculed the singers and music directors in the way as insulting them will make us prettier, richer and healthier. Why do we do that? I think because of the inner satisfaction and the pleasure we get when somebody else gets hurt. Kya Apko Pata Hai? Ridiculing young talent shatters their confidence and they won’t be able to stand again and strive for better results. Please try to take part in constructive criticism. This is our nation and Coke Studio is our sound. Why do we start disowning something when it is not at its best? They did effort for this song but unfortunately, it could not attract all of us because actually the original was far more amazing. How many of us have not faced such failures in life? How many of us strived but did not get the expected feedback and get failed despite the consistent hard work? How many of us have not faced such aggressive and brutal criticisms in our own area of work? Same happened with Ahad and Momina!! They are INSAAN too! Stop this now and stop wasting time on making these mocking and teasing memes and think rationally about the fact that making fun of someone won’t make us good. AB MERI BAARI HAI SHAYAD! Now everyone reading this article will start bashing me as well. Sab se Pehle tou, they will call me Ahad’s fan or uskay baad a supporter of parchi system. Whereas, I am a simple girl and an environmentalist. I have nothing to do with the media industry and not a die-hard fan of any one of them. But I think that we all should raise our voices for “Social media ethics”. What TASKEEN does this bashing gives us? It’s useless. Filter your thoughts and omit the useless ones PLEASE! Enjoy being on social media, but don’t enjoy for being the reason of ridiculing someone’s failure. Make someone’s Life rather than breaking someone’s heart. SHUKRIYA!